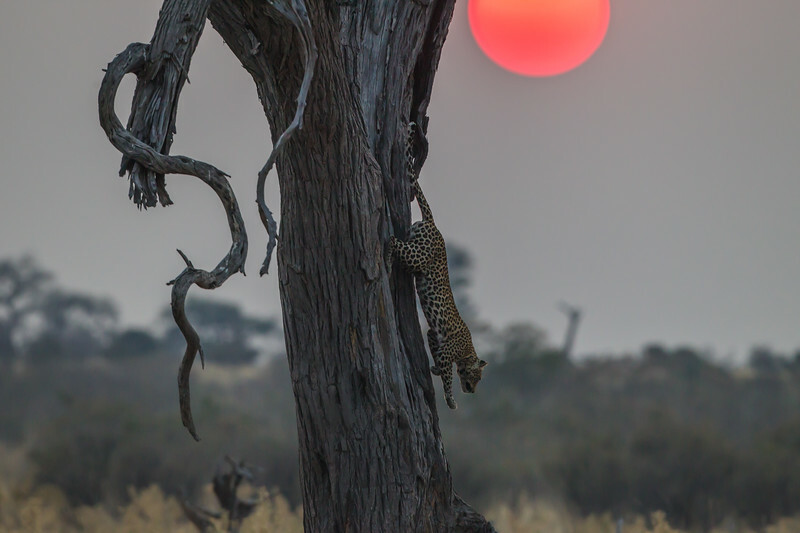 Having spotted this leopard in a tree in Savute, Botswana, I waited all afternoon for her to make her descent. I examined the gradient of the tree and calculated which route she was most likely to take down before carefully positioning myself so I could capture her last leap in profile. I also wanted to be sure I could include the gothic, hanging branch which completed the composition. When she finally stirred, everything happened very quickly but fortuantely I managed to capture the split-second her front paws left the tree trunk, the frozen moment looking almost as if she had temporarily suspended gravity.